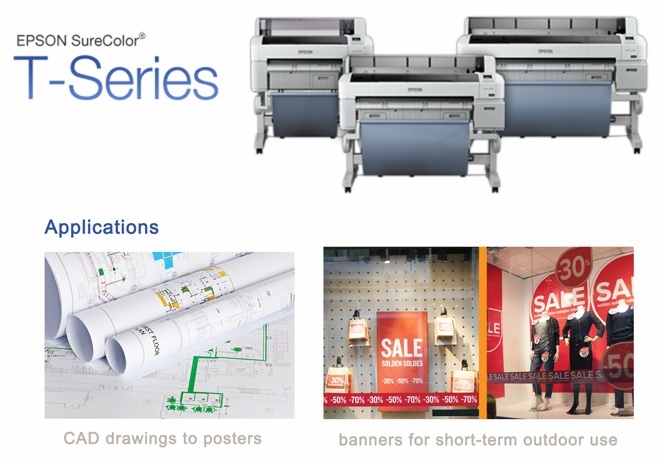 What Do You Know About Epson SureColor T-series printers? 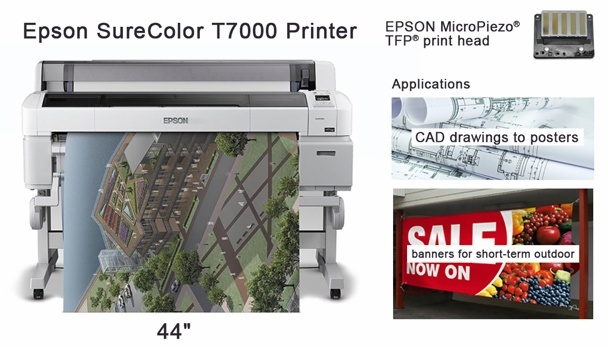 - Fei Yue Paper Inc.
What Do You Know About Epson SureColor T-series printers? All Epson SureColor T-series printers use a PrecisionCore TFP print head with 720 nozzles per color. The print head is permanent for the life of the printer and incorporates variable-size droplet technology (as small as 3.5 picoliters), providing extremely accurate dot placement. Available output resolution ranges from 720 x 360 dpi up to 2880 x 1440 dpi. The T5270 can print at up to 115 sq. ft. per hour at 1440 x 720 dpi and at 740 sq. ft. per hour at 720 x 360 dpi. A typical D-size (22 x 34 in.) color CAD drawing takes just 25 seconds to print at 720x360 and less than 3 minutes at 1440 x 1440 dpi. All printer and scanner functions can be controlled via the well-designed control panel with a 2.7-in. color LCD. The menu provides easy-to-use controls for scanning and copying, reprinting jobs stored on the optional internal hard drive, loading and adjusting the paper setting, checking ink levels, performing maintenance (such as cleaning nozzles and aligning the print head), and adjusting setup options (such as network and power settings). The printer was ready to go to work 1.25 minutes after turning it on. When idle for 15 minutes, it goes into sleep mode and after eight hours of inactivity, it shuts itself off (both user-configurable). Once in sleep mode, it takes just over a minute to wake up and go back to work. When printing, the T5270 consumes approximately 60 watts and produces 60dB of sound pressure. This drops to 16 watts (and 37dB) in ready mode and 3 watts or less when in sleep mode, making the printer very energy efficient. The printer drivers and utilities, available for both Windows and Mac OS X, proved to be powerful. 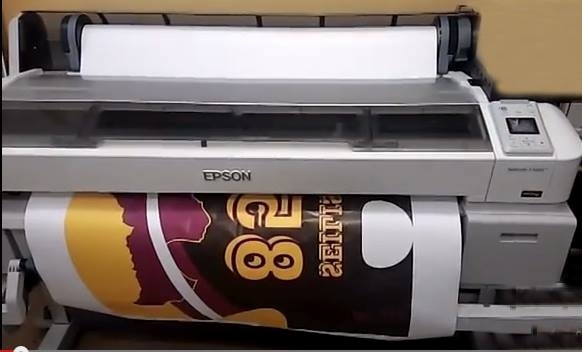 You can print directly from most Windows or Mac applications as you would to any other printer. With an optional hard disk installed, you can view and control print jobs and reprint jobs stored on the large format printer. Windows users can print multiple documents to Epson’s Layout Manager, arrange them on a virtual page, and then print that sheet. The driver also enables you to set up and manage color profiles. The optional scanner, which can scan in color at a rate of 6 in. per second, was also incredibly easy to use. Although you can control the scanner from the printer’s control panel, we found it easier to open a Web browser on a computer or tablet and control copy, scan, preview and sharing features remotely. Using Copy Center, we were able to make a color copy of a D-size document in 60 seconds and save scanned documents in JPEG or PDF format. You can scan and e-mail a file even without a PC. You can also enable automatic e-mail notifications to alert you when jobs are finished, ink runs low or an error occurs. The printer also has an error status lamp that is easy to see, even across a large room. Previous:How Dye Sublimation Printing Works with Sublimation Materials?